Herman J. Tijsseling, Jr., retired Vice President and Regional Manager for Morrison Homes, was born in the Netherlands shortly before its invasion by Germany and the beginning of World War II. His father's start in the building trade resulted from rebuilding his furniture factory twice during the War - once when it was destroyed by Germany bombs, and once when it was bombed by the Allied Forces. In 1953, the family immigrated to America, settling in the San Francisco Bay Area. ​Because of strict limitations on the amount of currency that could be taken out of the Netherlands, a pre-fabricated house was shipped from Holland to San Francisco and assembled by the entire family in Walnut Creek in 1953. This was Herman's introduction to home building. He studied European architecture and foreign languages at the Rosenberg University in St. Gellenin, Switzerland. After a stint in the U.S. Army, Herman joined his father to help create a successful home building and development company. During the late 1950's and 1960's, they built hundreds of homes in the greater San Francisco Bay Area. He also obtained his General Contractor's and Real Estate Broker's licenses in 1963. 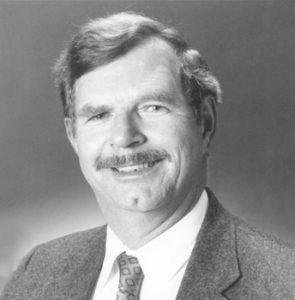 In 1972, Herman accepted a position as a Forward Planner with Morrison Homes, and in the mid-70's he helped establish a regional office in Sacramento. Under his stewardship, Morrison Homes has developed over 5,000 lots and sold over 3,000 homes. Herman has served as a member of the California Building Industry Association Legislative Committee for over a decade with several stints as Chairman. He has chaired the Home Tour Committee and the Membership Committee and served on the Building Industry Association Board of directors in 1984-1986 and 1991-1993. In 1985, Herman received the Past President's Award and in 1994, the Don McCormick Memorial President's Award. He serves on advisory committees for Habitat for Humanity and the Regional Occupation Program of the Sacramento County Office of Education for the construction and remodeling trades. Herman Tijsseling has been married to Brigitte, who immigrated to the U.S. with her family in the early 1950's, for over 30 years. They have a son and a daughter and two grandsons.